One of the best marketing tools in existence in the T-Shirt. Yes, even in these high-tech times of digital marketing and online social media ads, a happy customer wearing a clever T-Shirt says a lot about a business. Consider this: If you design a really clever T-Shirt for your business and someone wears it over the life of the shirt 5+ Years) then a lot of people will see it! Some people will ask the person wearing it about your business, and a positive word-of-mouth testimonial is like gold! We love helping businesses grow with custom corporate apparel. 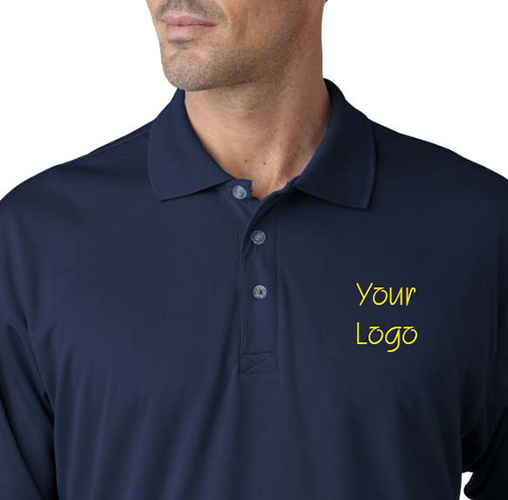 T-Shirts, golf shirts, jackets, and dress shirts all to spread your company’s brand when we embroider your logo on them. Don’t have a logo? We love designing new logos for businesses! If you have a small business, a medium-sized company, or a large corporation, we are experienced working with all size budgets and orders ranging from 3 t-shirts to 500 jackets and hats. We would be very pleased to sit down with you and talk about your needs.